The European Commission presented a strategy to strengthen the international role of the euro on Wednesday (5 December), as member states continue to drag their feet in completing the economic and monetary union. Experts and diplomats also urged progress on the proposals to set up a capital markets union, part of the Commission’s strategy. The eurozone represents 12% of global GDP, slightly less than the US economy (around 15%), and the former also marks only 20% of international reserves of foreign central banks, compared with 60% in the case of the dollar. In addition, debt insurance denominated in euro fell from 40% before the crisis (2007) to around 20% last year. “The international role of the euro has become smaller as a result of the eurozone crisis”, Commission Vice-President for the euro, Valdis Dombrovskis, told reporters. 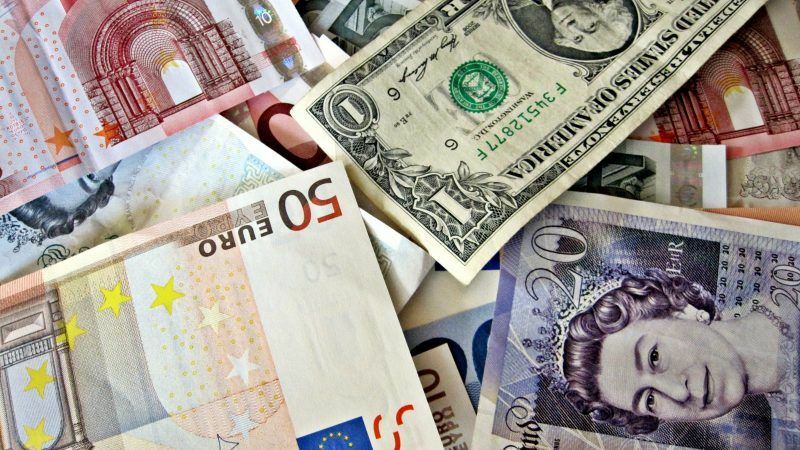 Only when it comes to international transactions, the euro is second but close to the dollar, 36% versus 40%. 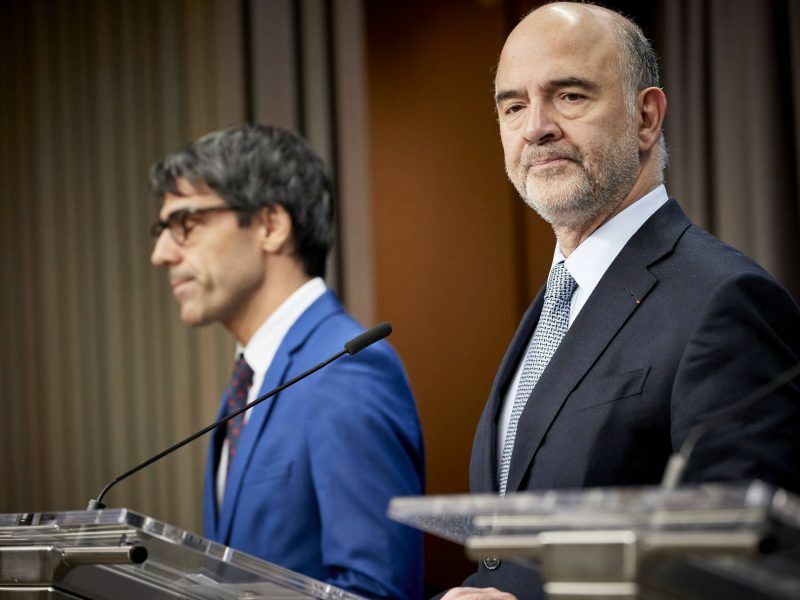 “There is a flagrant lack of proportion between our economic power and the power of the euro”, commissioner for Economic Affairs, Pierre Moscovici said during the same press conference. “We must do more to allow our single currency to play its full role on the international scene”, reads the Commission’s communication published on Wednesday. Europe aims to gain financial autonomy from the US on the global stage. A priority that became more urgent since the new administration in Washington led by Donald Trump threatens sanctions to those who don’t follow its agenda, as with Iran. A stronger role of the euro at global stage also would bring advantages to European citizens and companies, including lower risks and currency related costs. 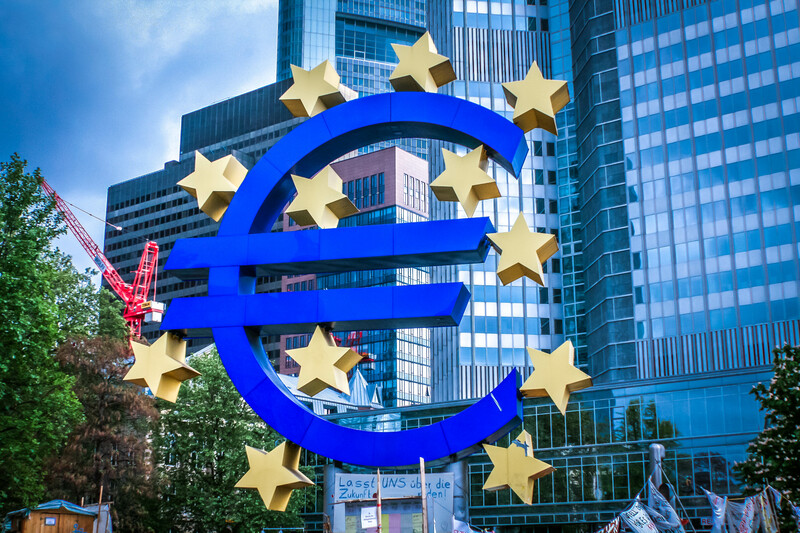 The Commission acknowledged that progress needs to be made on deepening the economic and monetary union, including the completion of the banking union and adding a fiscal capacity to absorb sudden shocks. The eurozone also has a long way to go to enlarge and deepen its capital markets. But the “crucial” meeting of the EU Finance ministers to bolster the EMU early this week proved that member states continued to disagree on the right balance between risk reduction and risk sharing, either on the fiscal or the banking side. The result was a limited package to bolster the eurozone. “We made several important decisions during this week’s Eurogroup”, Dombrovskis said referring to the new backstop to resolve ailing banks and the new tools for the European Stability Mechanism. But “we are not quite there yet”, especially on the fiscal side, he admitted. For the Netherlands, one of the leading voices in the camp opposing the deepening of the EMU, the task should start in every member state. “In my view, a stronger euro also starts at home, with sound macro-economic policies. And with a robust institutional underpinning of the EMU”, Dutch finance minister, Wopke Hoekstra told EURACTIV.com. He added that “a stronger global foothold for the euro obviously has advantages”, and he would study “in more detail” the Commission’s proposal. 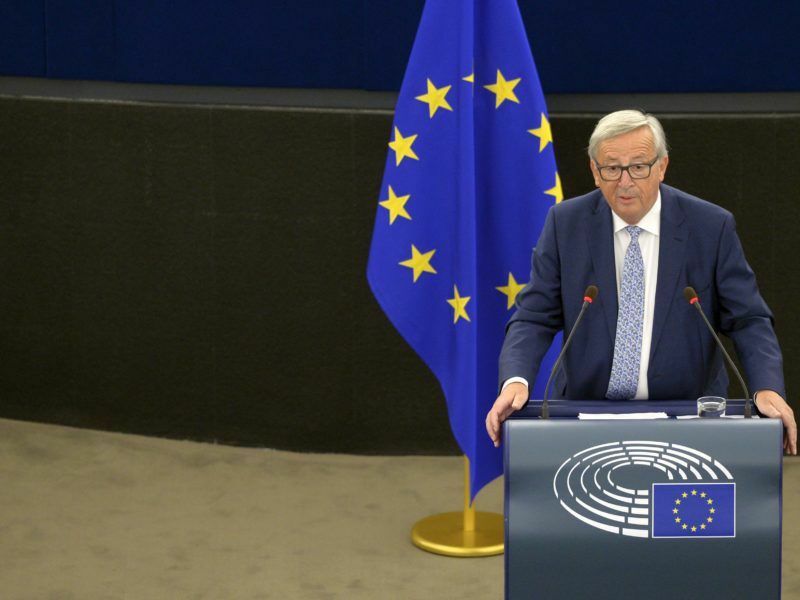 As the EU continues to progress only with baby steps either on the banking union or the fiscal union, the Commission proposed a laundry list of initiatives to try to compensate for the lack of decisive steps. The package points at solid interest rate benchmarks and an integrated instant payment system in the EU. 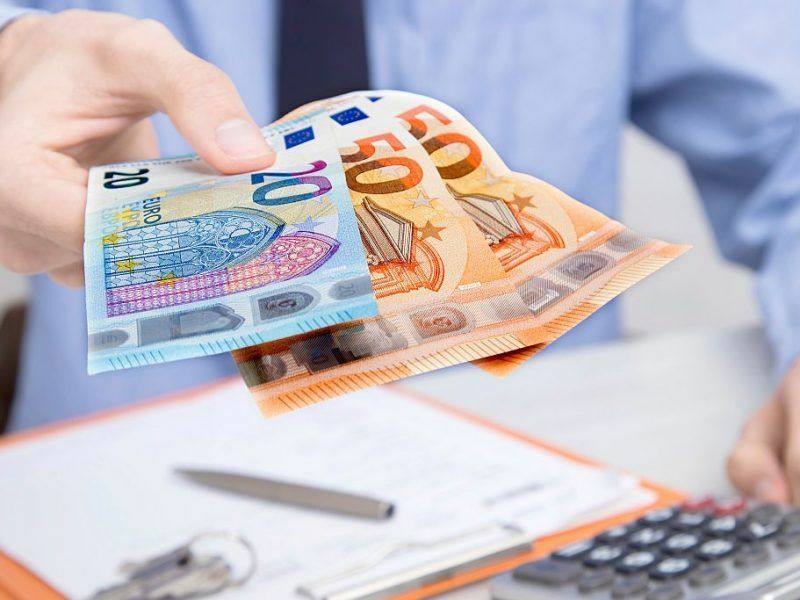 But the Commission also calls on the member states to use more euros when they pay their energy providers, and when they buy other raw materials, including agri-food goods. “I don’t expect this would lead to a very large change”, Francesco Papadia, senior fellow at Bruegel, told EURACTIV. In his view, these measures could help to rebalance the influence of the euro vis-à-vis the dollar. “But gain financial autonomy from the dollar? I don’t think so”. From France, a champion of the euro, officials stressed that what would make the biggest difference is a stronger EMU and capital markets union. But even a fully-fledged monetary union would hardly lift the euro to the dollar’s influence on the global stage. The reason is not only the US’s geopolitical might, but the ‘network externalities’ of the currencies. “As with phone companies, currencies’ value partly depends on how many people one can reach through them,” explains Papadia.